Rotating, indexed 3 facet prism. Considering purchasing the Briteq BT-BEAM 60 Moving Beam - 60 Watt Led Source, Rotating Gobos, Prism? Have questions? Ask people who've recently bought one. Do you own the Briteq BT-BEAM 60 Moving Beam - 60 Watt Led Source, Rotating Gobos, Prism? Why not write a review based on your experience with it. Briteq have created an amazing beam light here, really really bright, perfect replace for any bright bulbed fixture in a theater. This is a lovely light has good direction and is a very good price. 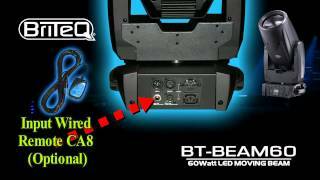 Seen a video for Briteq BT-BEAM 60 Moving Beam - 60 Watt Led Source, Rotating Gobos, Prism online or have you own video? 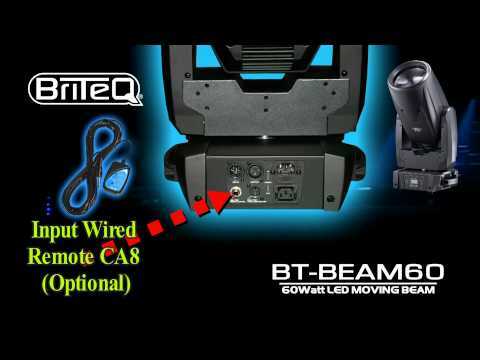 Check out Briteq BT-BEAM 60 Moving Beam - 60 Watt Led Source, Rotating Gobos, Prism on DJkit.com!